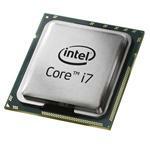 Grasp the power of extreme processing with Intel Core i7 3rd Generation desktop processors. Computer games are getting advanced with time. The dynamic displays, the cutting-edge technology behind the scenes, and the use of high-poly models have increased the processing power. Images, which were in 2D a decade ago, now utilize 2k pixels for a normal HD graphic. No need for External GPU! This mandates advanced image rendering hardware, such as Intel processors. However, not all processors come pre-equipped with a graphics card. It is the Intel Core i7 3rd Generation processor that provides 300 MHz of Graphic Processing Unit built-in with the processor. Instead of waiting for a GPU to be shipped over to your place, just plug-and-play the Intel Core i7 3rd generation processor and press start. 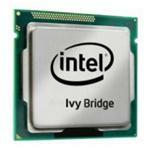 Get these 3rd generation CPUs for high-quality performance, at work and at home. Manage your tasks effectively, enjoy greater speeds and maximize through-put. Hold on to the best Intel Core i7 3rd generation processors available online. 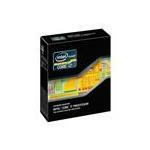 Browse Memory4less.com today to order one today.